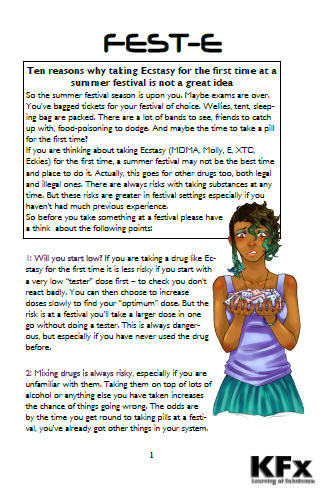 Description: An illustrated short guide aimed at young people (16+) who are inexperienced with MDMA or other strong drugs and looks at reasons why use in settings such as festivals is high risk. 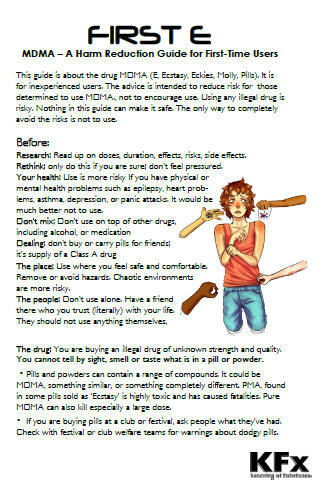 Description: An illustrated guide for young people who are intent on using MDMA and need advice and harm-reduction information. Includes detailed information about key health problems and is only intended for people who are very likely to use MDMA and who will be more safe with this knowledge.